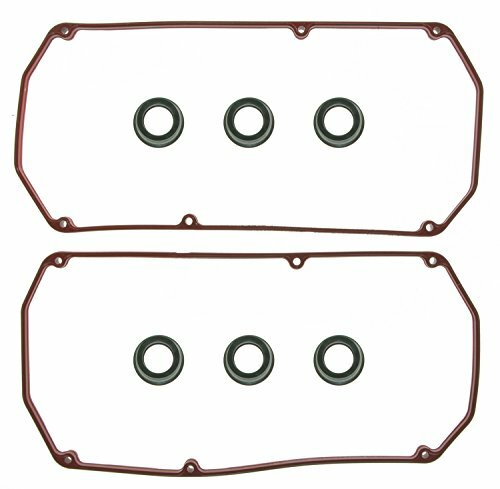 Fel-Pro's valve cover gasket set is ideal for stock replacement use. 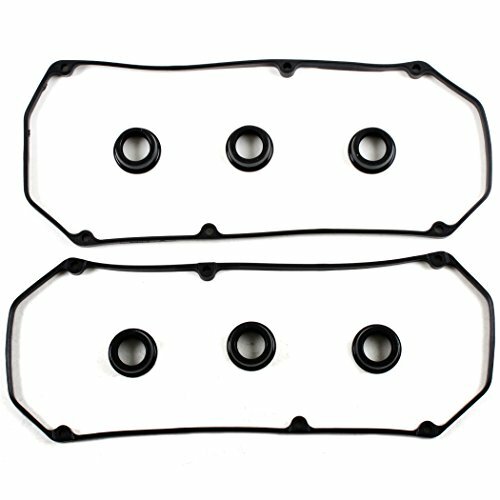 Made from molded rubber and sold in pairs. Carries a one year manufactures warranty. 2001-2005 CHRYSLER SEBRING 2.4L 2351CC L4 SOHC, (16 VALVE), ENG. CODE "4G64" 2001-2004 DODGE STRATUS 2.4L 2351CC L4 SOHC, (16 VALVE), ENG. CODE "4G64" 1999-2005 MITSUBISHI ECLIPSE 2.4L 2351CC L4 SOHC, (16 VALVE), ENG. CODE "4G64" 1999-2003 MITSUBISHI GALANT 2.4L 2351CC L4 SOHC, (16 VALVE), ENG. 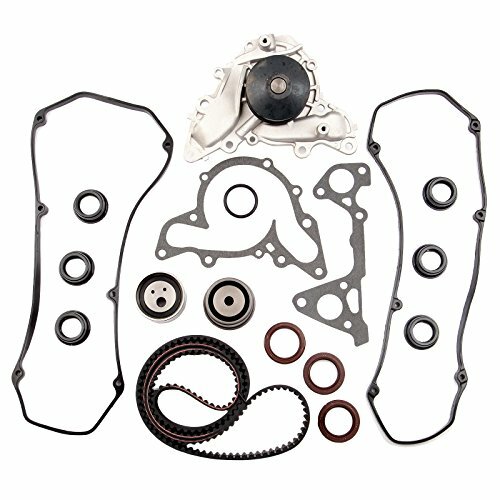 CODE "4G64"
This item includes: 1 Mitsuboshi Timing Belt (187 Teeth) (Mitsuboshi - OEM Supplier for HONDA / SUBARU) 1 GMB Timing Belt Tensioner (Right Lower Bearing) 1 GMB Timing Belt Idler (Left Side Bearing) 2 Camshaft Seals (35 x 50 x 8) 1 Front Crankshaft Seal (1 = 37 x 50 x 6) 1 Hydraulic Tensioner / Tensioner Adjuster 1 GMB Water Pump with Gasket 2 Valve Cover Gaskets 6 Spark Plug Tube SealsPart Numbers: TBK259(M)-GMB, WP148-1510, VC5016, T60398, 2 = 35 x 50 x 8, 1 = 37 x 50 x 6Product Fitments: 1995-2000 CHRYSLER CIRRUS 2.5L 2497CC 152CID V6 SOHC, (24 VALVE),, ENG. CODE "6G73" 1995-2000 CHRYSLER SEBRING 2.5L 2497CC 152CID V6 SOHC, (24 VALVE), ENG. CODE "6G73" 1995-2000 DODGE AVENGER 2.5L 2497CC 152CID V6 SOHC, (24 VALVE), ENG. CODE "6G73" 1995-1998 DODGE STRATUS 2.5L 2497CC 152CID V6 SOHC, (24 VALVE), ENG. CODE "6G73" 2001-2005 DODGE STRATUS 3.0L 2972CC 181CID V6 SOHC, (24 VALVE), ENG. CODE "6G72" 2000-2005 MITSUBISHI ECLIPSE 3.0L 2972CC 181CID V6 SOHC, (24 VALVE), ENG. CODE "6G72" 1999-2003 MITSUBISHI GALANT 3.0L 2972CC 181CID V6 SOHC, (24 VALVE), ENG. 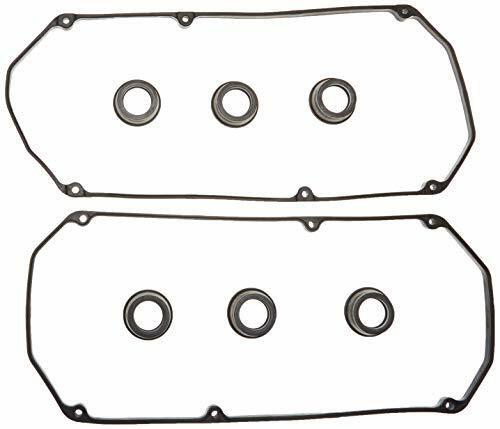 CODE "6G72" 1997-2003 MITSUBISHI MONTERO SPORT 3.0L 2972CC 181CID V6 SOHC, (24 VALVE), ENG. CODE "6G72" 1995-1996 MITSUBISHI MONTERO 3.0L 2972CC 181CID V6 SOHC, (24 VALVE), ENG. 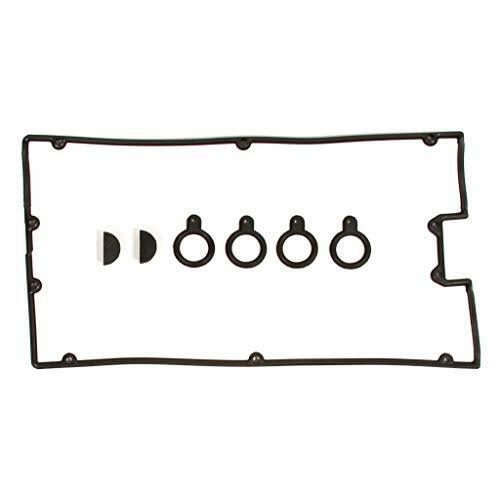 CODE "6G72"
This item includes:1 Valve Cover Gasket4 Spark Plug Tube Seals1 Half Moon SealPart Numbers: VC5005Fits Following Models:1989-1990 DODGE COLT TURBO 1.6L DOHC, (16 VALVE), ENG. CODE "4G61"1989-1990 EAGLE SUMMIT 1.6L DOHC, (16 VALVE), ENG. CODE "4G61"1989-1994 PLYMOUTH LASER 2.0L DOHC, (16 VALVE), ENG. CODE "4G63"1989-1994 PLYMOUTH LASER TURBO 2.0L DOHC, (16 VALVE), ENG. CODE "4G63T"1989-1994 EAGLE TALON 2.0L DOHC, (16 VALVE), ENG. 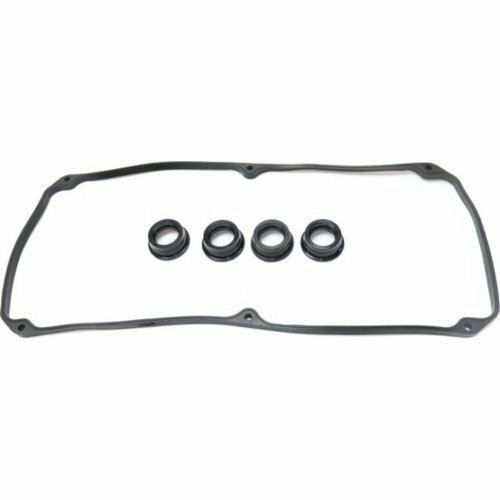 CODE "4G63"1989-1998 EAGLE TALON TURBO 2.0L DOHC, (16 VALVE), ENG. 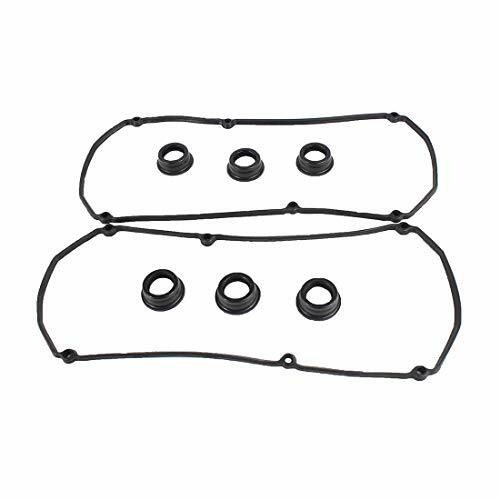 CODE "4G63T"1992-1995 HYUNDAI ELANTRA 1.6L DOHC, (16 VALVE), ENG. 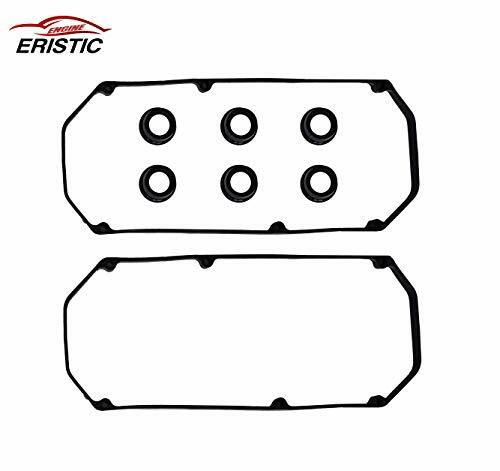 CODE "G4CR"1993-1995 HYUNDAI ELANTRA 1.8L DOHC, (16 VALVE), ENG. 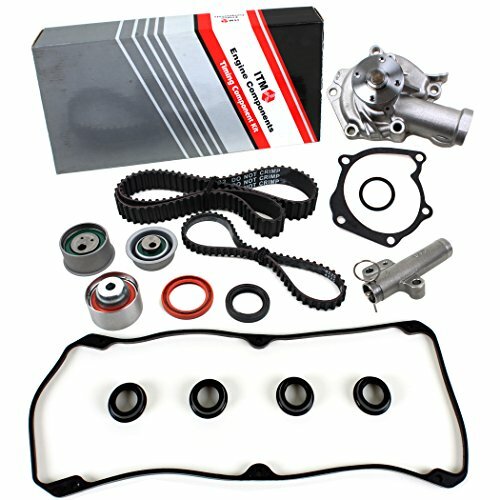 CODE "G4CN"1992-1998 HYUNDAI SONATA 2.0L DOHC, (16 VALVE), ENG. CODE "G4CP"1989-1992 MITSUBISHI MIRAGE 1.6L DOHC, (16 VALVE), ENG. CODE "4G61"1989-1992 MITSUBISHI MIRAGE TURBO 1.6L DOHC, (16 VALVE), ENG. CODE "4G61"1989-1994 MITSUBISHI ECLIPSE 2.0L DOHC, (16 VALVE), ENG. 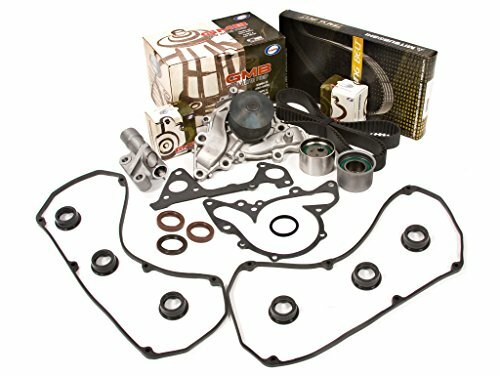 CODE "4G63"1989-1999 MITSUBISHI ECLIPSE TURBO 2.0L DOHC, (16 VALVE), ENG. CODE "4G63T"1989-1992 MITSUBISHI GALANT 2.0L DOHC, (16 VALVE), ENG. CODE "4G63"1989-1992 MITSUBISHI GALANT TURBO 2.0L DOHC, (16 VALVE), ENG. CODE "4G63T"